At Universal Stop I have been compiling lists of the licensed merchandise that I've found. The information is sporadic--there is nothing comprehensive. Below is a compilation of the various action figures I've read about. There are six Lego playsets for The Lone Ranger, with a photo of Armie Hammer in his costume on the boxes. I've seen them at Toys R Us and a Legos store. 1. Cavalry, 16.99, with John and three cavalry officers. 2. Comanche Camp, 24.99, with John, Tonto and Red Knee, plus a tepee, canoe and huge scorpions. Never mind that no one used a canoe in the movie. 3. Stagecoach, 37.99, with John, Tonto, Red, Jesús and Barret. Never mind that there wasn't a stagecoach in the movie. 5. Silver Mine Shootout, 84.99, with John, Tonto, Big Bear, Butch and Kyle. 6. Constitution Train Chase, 119.99, with John, Tonto, Danny, Rebecca, Butch, Latham and Capt. Fuller. Since I am not a Legos person, I was more interested in the little figures than the buildings. All the figures resemble the actors who played them, except for John Reid himself! I'm assuming that the playsets were based on an earlier version of the script, hence the giant black scorpions being shot from a catapult. These are the three sets of dolls (okay, I said it, DOLLS!, for those of you who HAVE to call them action figures) I've acquired. I've seen others on ebay and I am hoping that I may be able to purchase some of them at the Barbie show this fall in Cincinnati or the doll and toy show in Dayton this fall. They are sold out from the Disney store. My main complaint from the ones I've seen so far is that the John Reid figures do not look like Armie Hammer. The ones for Tonto look like Johnny Depp and I suspect that is because Disney already has the rights to use his likeness because of the Pirates movies. I keep hoping that there will be figures eventually made that look like Armie. 1. The Vinylmation figures are at the Disney store, original price $29.95, half price $12.99. 2. The Infinity figures are at Toys R Us and are NOT cheap--$35.99! I learned today that there are a number of these little toys based upon contemporary Disney characters. This John figure not only does not resemble Armie, I think he looks like Bob Parr, Craig T. Nelson's character from The Incredibles! 1. Neca/Reel Toys, Series 1, 7 inches tall, Tonto with tomahawk (does NOT look like Johnny) and John with mask and guns (does NOT look like Armie). Not available in stores, only through ebay. 2. Neca/Reel Toys, Series 2, 7 inches tall, Tonto (looks like Johnny) with birdcage, John (does NOT look like Armie) with white hat but no mask. Not available in stores, only through ebay. 4. Neca/Reel Toys, 7 inches tall, Tonto bobblehead (looks like Johnny) and John (does NOT look like Armie). Not in stores and only available through ebay. 6. Heroclix 2 figure Mini Game, John and Tonto and a game board. These just started appearing on ebay. No information on the figures’ heights. Amazon seems to be mostly media-related merchandise. I also read about a company called Hot Toys making figures from the movie, but these are not found on ebay. Neca's website--which I think is for dealers wanting to resell--has other types of merchandise such as wigs and hats and accessories. The local Disney store also had some other "stuff" such as costumes for small children (who shouldn't be seeing the movie to begin with!). I've acquired some of it. I've also purchased the two books and the Hans Zimmer score/soundtrack. Out of all of the merchandise, these three items are the best because they are beautiful! I have fallen in love with the new Lone Ranger movie. I am trying to start some discusison about the movie with its fans. You can find the discussion here: http://www.universalstop.com/hubs/forum/filmmaking/topic/positive-discussion-about-the-lone-ranger If you hated the movie, or all you want to talk about it is its box office, you are not welcome there. This is only for people who have become addicted to it, as I have. I found this article through the Cincinnati Public library's research pages. It was originally published in The Chicago Tribune in 1974. I had to retype the article as I could neither set a link to it nor could I copy and paste it. Margaret Carroll, the writer, must have done some research at the store before writing the article, for which she is to be commended. It's a very good article about Barbie's world in 1974. It also has some horrible puns and a few inside jokes! She’s not getting older. She’s just getting better. She has come a long way, this baby...er, Barbie. The brunette in the leopard print bathing suit, her namesake ancestor, never could have been mistaken for Sweet 16, but that’s how old the doll named Barbie is this year, and her Darwinian evolution has prepared her to look the part. 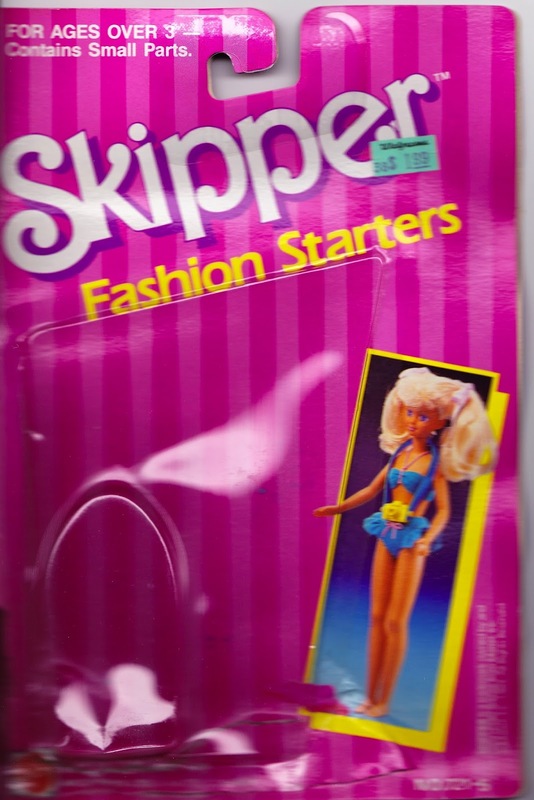 Waiting for the elevator of her three-story, six-room townhouse (about $15) one day, Barbie recalled for a visitor the Spartan days of her early adolescence. “It’s peculiar, isn’t it, how some of us mature so early and age so slowly,” Barbie began. “I’ll admit I was a pretty hard-looking dolly when I was a teen-ager in 1958. But clothes were a problem in those days. I certainly didn’t enjoy the wardrobe selection I’ve built up since then, and I couldn’t do a thing with my hair. “Fortunately, I can afford to keep my appearance up to the minute now, and I have curlers and other cosmetic aids to keep my hair and makeup impeccable. Oh, and I’ve traveled all over the world. You’ll find me most anywhere these days. Maybe I’ll climb the North Pole one day. Just then Barbie’s steady, Ken (steady since 1961, that is), came along and told her to hurry because the gang was waiting for them down at the Beach Bus (about $10). Barbie’s little sister, Skipper, finally let the elevator down; and Barbie rode upstairs to change into her beach outfit ($1). “Oh, Barbie has changed so much since we met,” said Ken. “But haven’t we all? I’m not the crew cut, straight arrow I once was. Oh, no, now I have this dynamite beard and mustache (about $5 for mod Ken) that goes with my new clothes. But Barbie seems younger and sweeter to me now than she did the first time I asked her for a date. Ken felt a tug on his towel just then and looked down to see Skipper standing there in her two-piece bathing suit. “May I go along to the beach with you, Ken, please?” Skipper pleaded. 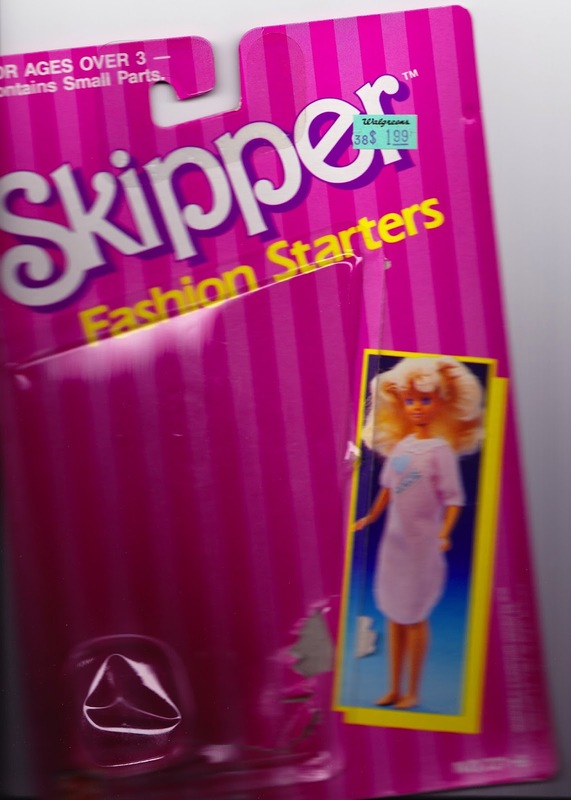 Barbie stepped down from the elevator, and they headed for the Breezy Buggy (about $10). The visitor allowed as how she might block Skipper’s vision, and suggested that she might steer the bike along for the little doll. Barbie and Ken gave Skipper a head start to the beach, while they briefly made plans for the following day, Sunday. “Well, if it’s a nice day and we feel like doing something active, we can go over to the club for a game of tennis,” said Ken. “Oh, and I can wear my tennis outfit (about $3),” said Barbie. “Oh, and I can wear my tennis outfit (about $3),” said Ken. “Surprise!” yelled the gang as Ken parked the Breezy Buggy and Barbie controlled the emotion within her. “Oh, you wonderful friends. Kelley, I’ll bet you planned this. And Francie. How could you keep such a secret from me? And Christie, my black-is-beautiful friend, how good to see you. Is Brad, your black-is-beautiful friend, here too? “You know, Barbie,” said Ken, “I was talking to Dan Buckey in Chicago not long ago. He’s Mattel’s marketing manager in that area. And he said you’re not really a doll, but a toy through which little girls can be what they want to be when they grow up. Barbie wore a zebra stripe swimsuit in 1959, not a leopard print in 1958. The Barbie doll being interviewed is Sweet 16 Barbie from 1974. The yellow tank top and jeans short are for her. 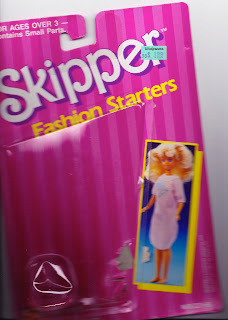 The pink-and-white checked dress is for the 1973 Quick Curl Barbie doll. The Ken doll in the article is Mod Hair Ken from 1973. Ken was first sold in 1961. The other dolls in the article are Malibu Skipper from 1971, Quick Kelley from 1973, Quick Curl Francie from 1973, Malibu Christie from 1972, Malibu PJ from 1972; and three dolls that were no longer on the market in 1974: Brad (sold in 1969 and 1970), Midge (1963 to 1966), and Stacey (1968 to 1970).